The startup office space provider is growing rapidly and was recently valued at $5bn. Co-working space for startups is big bucks nowadays, and companies offering communal space alongside shared offices have sprung up in startup hubs across the world. 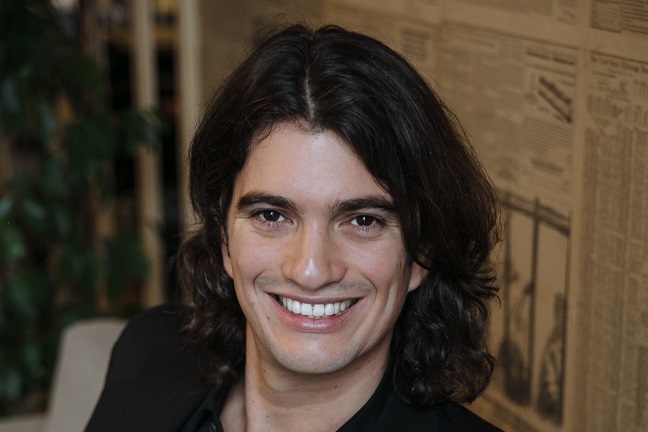 What supposedly makes WeWork different is its focus on building a community. It's easy to roll one's eyes and be sceptical about such jargon-packed claims but it looks like Israeli-born Neumann walks the walk as well as talking the talk. 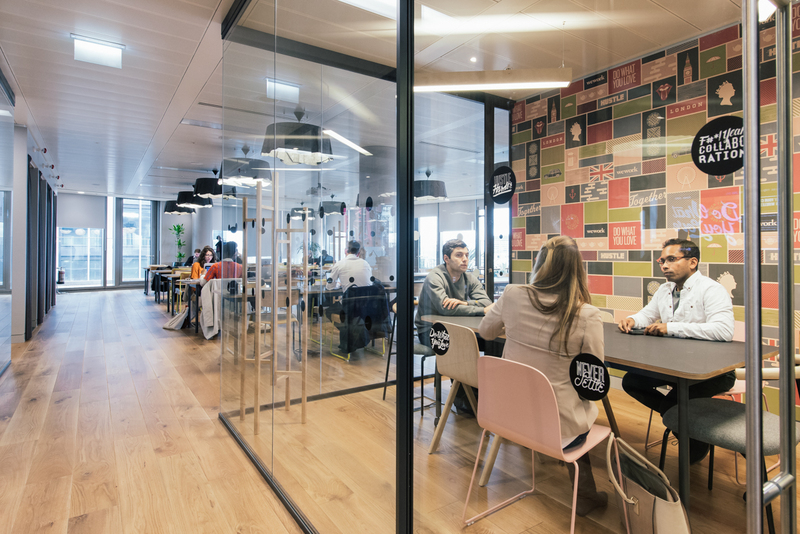 WeWork now has 15,000 members in 21 locations across the US, London and Tel Aviv. When I spoke to Neumann in early December the business had recently been valued at $1.5bn in a $250m round led by JPMorgan. Since then it has attracted $355m (£235m) and a reported valuation of $5bn. WeWork is clearly going places. WeWork is tapping into Neumann’s ‘new way of working’ by making its offices about much more than just space. Members have frequent social events and workshops, and there’s also an annual ‘Summer Camp’ event, where WeWork’s 250 staff and 1500 of its members get together for a weekend of activities at a lake in upstate New York. The offices aren't cheap. In its London office, at Shipping Containers House near the Oxo Tower, the list price for a single desk in a shared space costs £325 per month, and a private office for two costs £1300. But WeWork has developed quite a reputation in the startup subculture and the office was 80% full when it launched in October. Neumann says he has big plans for London and WeWork's second location in the city is due to launch in Soho soon. WeWork is currently taking on about five people per week and was employing 250 staff at last count. 'In our business, the growth in the number of employees has been an interesting challenge because it’s a very different thing to manage 10 people, 80 people or 250 people,' Neumann says. 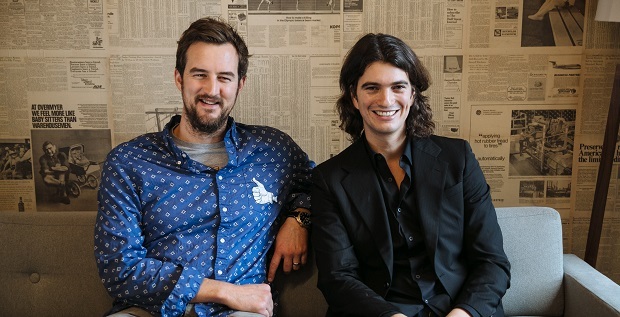 WeWork isn’t Neumann’s first business. Early startups included a business selling women’s shoes with collapsible heels.‘Very clever but it didn’t work,’ he says. ‘We realized women take their shoes very seriously.’ He had more success with Egg Baby, a high-end ecommerce venture aimed at well-heeled parents, before meeting his WeWork co-founder, American Miguel McKelvey, who is responsible for the more creative aspects of the business. After finding success with an earlier office space startup, GreenDesk, the pair immediately invested the money they had made into WeWork's first premises in New York's SoHo area. The business has since expanded and this year there are plans to open three to four new buildings per month, including locations outside the US and Europe, and the company expects to turn over $400m this year. It's undeniable that WeWork's growth is exceptionally rapid, and doesn't show any signs of slowing for now. But sitting as it does at the intersection of two of the most bubble-prone sectors - tech and property - it will need to be careful not to overstretch itself to avoid being vulnerable if the economy hits choppy waters again. Then again, given the amount of money the business has raised, Neumann has clearly managed to convince investors he is on to a winner. At the same time he cautions against a relentfess focus on attracting investors at the expense of working on the business itself. 'Spend as little time as possible raising the money and really build something meaningful,' he says. Time to show estate agents the door?